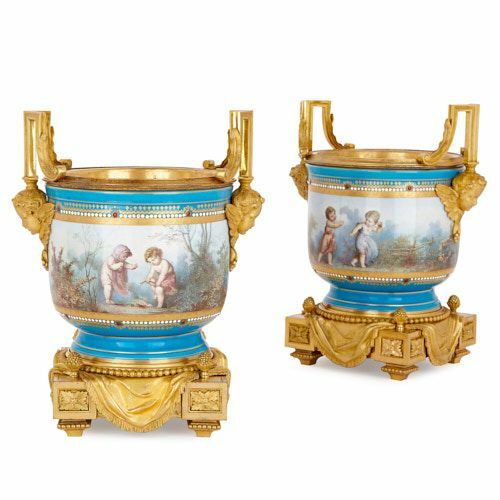 The beauty of these painted, ‘bleu celeste’ Sèvres porcelain jardinières is enhanced by their fine ormolu mounts, which were cast by the master-bronzier, Henri Picard. 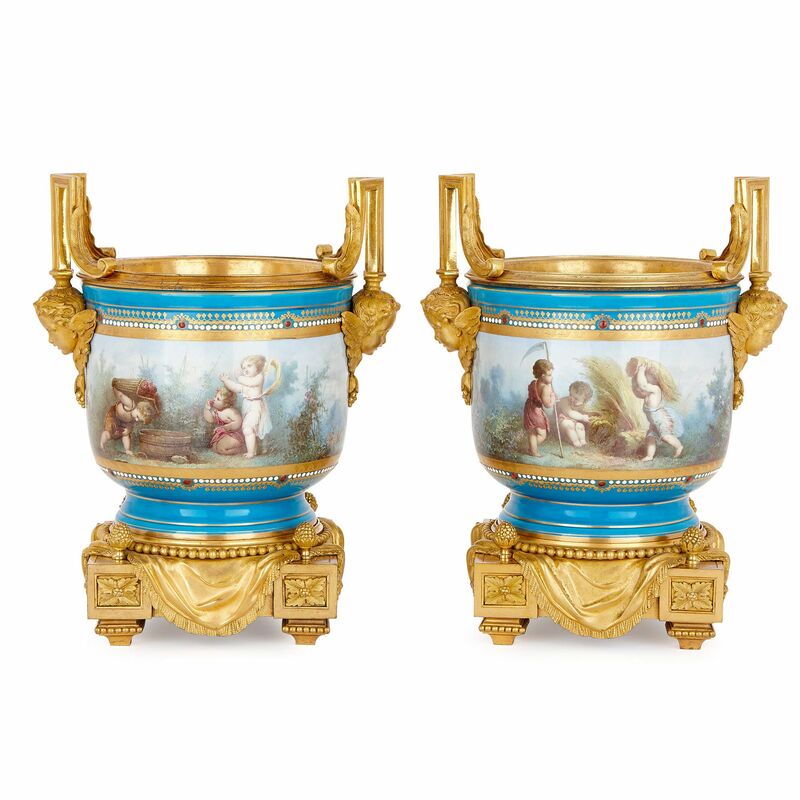 Both of the porcelain jardinières stand on fine, square ormolu plinths, set on toupie feet. 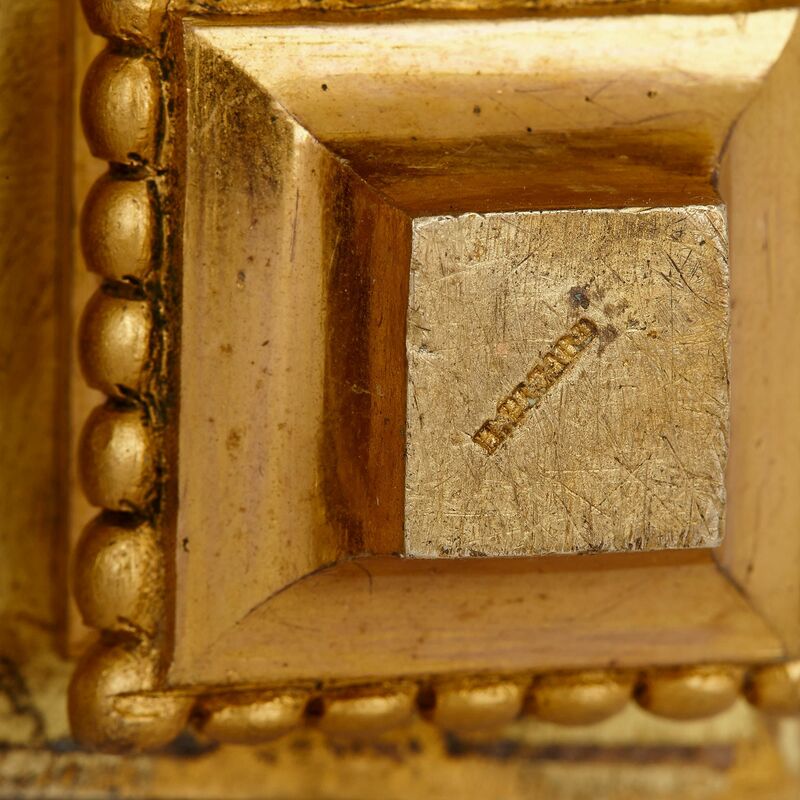 The corners of the plinths are decorated with symmetrical, foliate motifs, which are topped by pinecone finials. Covering the plinth tops are tasselled draperies, which hang down the sides. 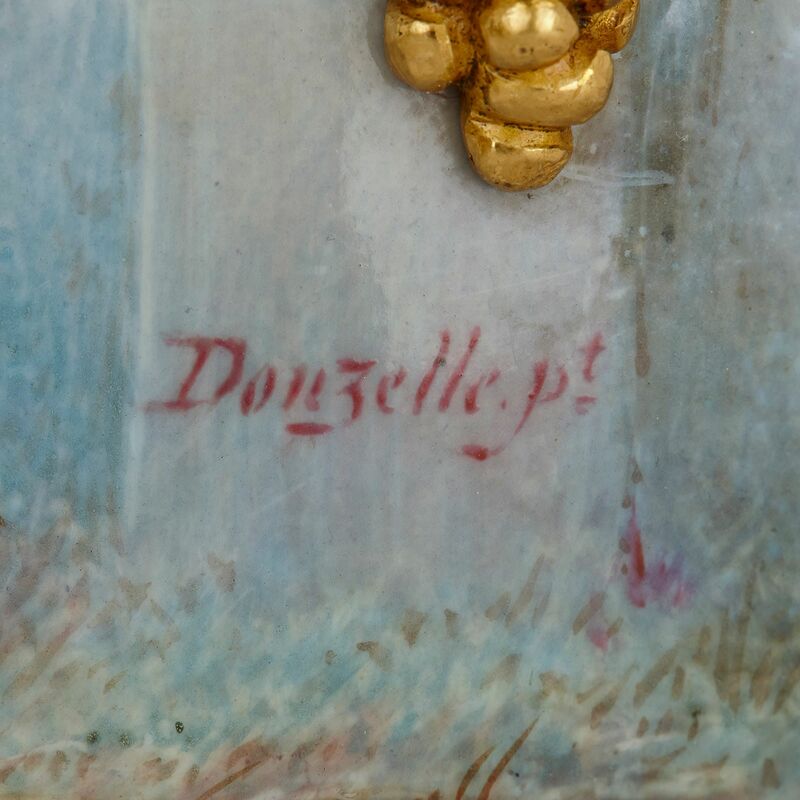 The bases of the jardinières are ringed by beading. Above, the porcelain jardinières feature broad bodies, set on short waisted stems. 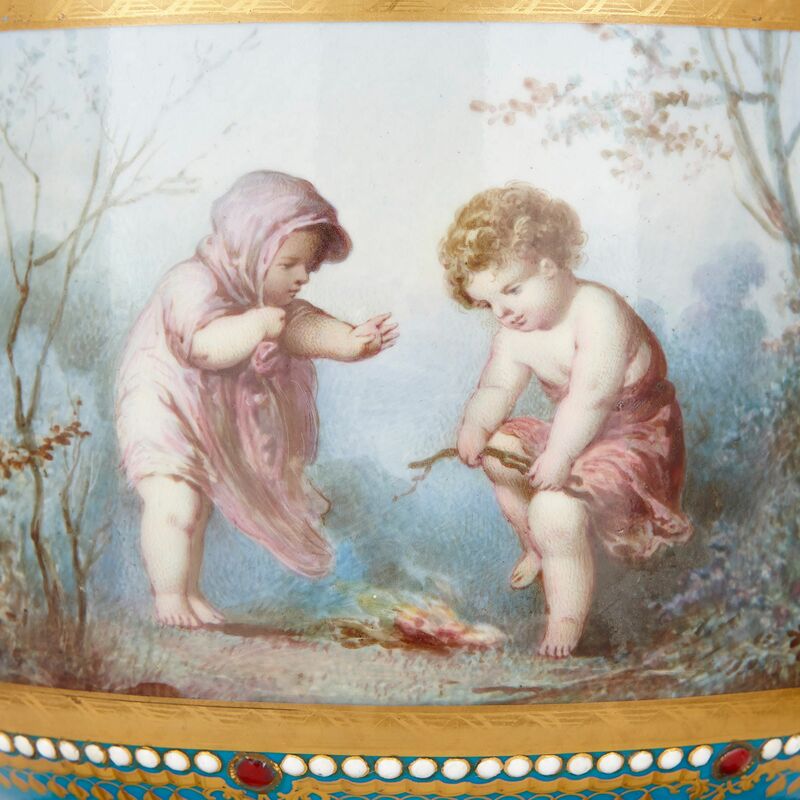 The jardinières have been decorated with continuous, classically-inspired paintings of children in landscapes. 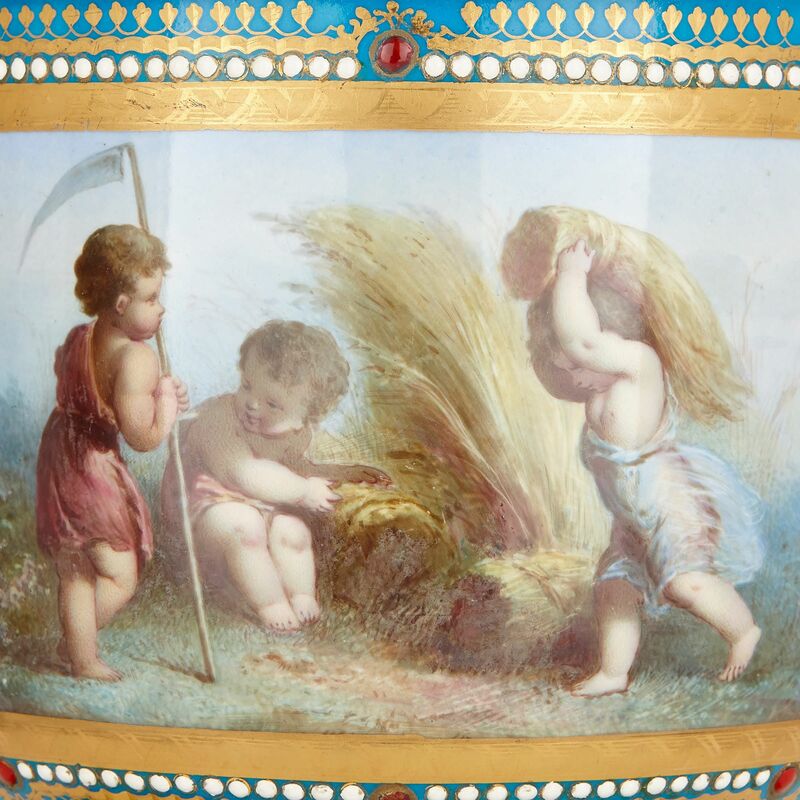 These scenes represent the four seasons, and are signed by the Sèvres manufactory artist, ‘Donzelle pt’. Winter is depicted in a scene showing two putti making a fire, and autumn in an image of three figures harvesting wheat. Spring is represented by two figures, pictured in fruit-stained clothes, carrying apples, and summer by three figures eating and collecting grapes. 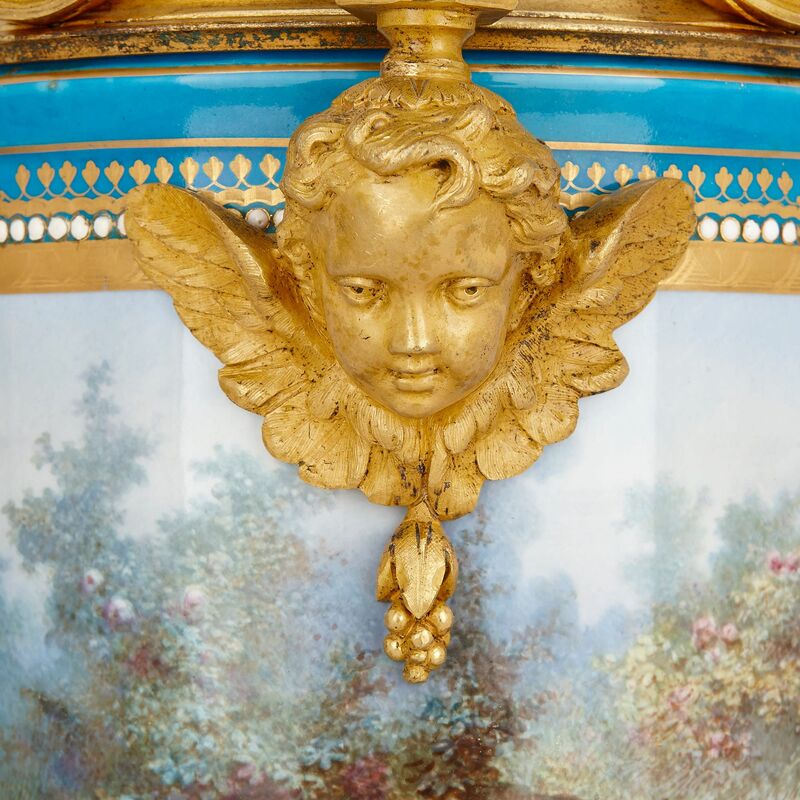 These paintings are set within parcel gilt, jewelled borders, placed against a Sèvres ‘bleu celeste’ ground. 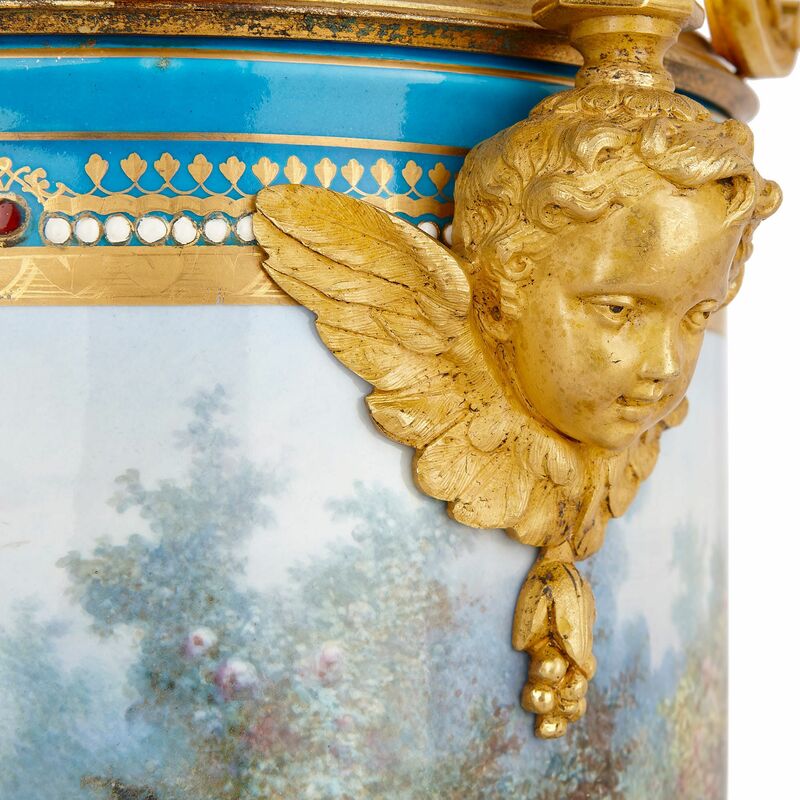 The jardinières are signed with Sèvres blue interlocking 'L's, enclosing the date-letter 'A'. 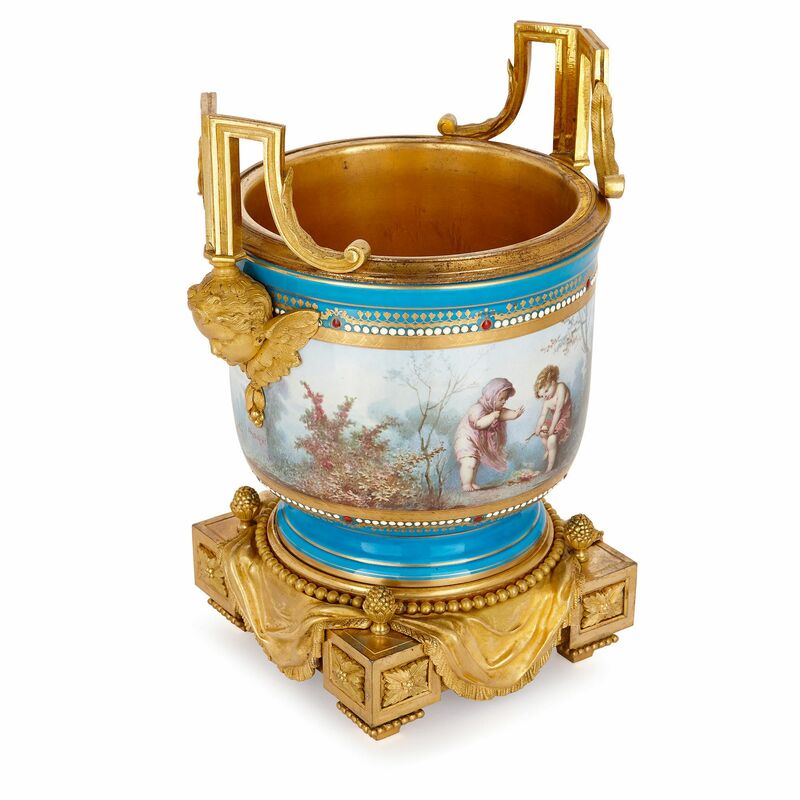 The porcelain jardinières are mounted with ormolu geometric handles, which meet the porcelain bodies in cherub heads. ‘H. Picard’ is signed onto three of one jardinière's feet. Henri Picard was an exceptionally skilled French 19th Century metalworker, who supplied many bronze pieces to the Emperor, Napoleon III.